The answer is yes! Your registrants can absolutely purchase multiple swag items, it just depends how many you'd like to allow for purchase. 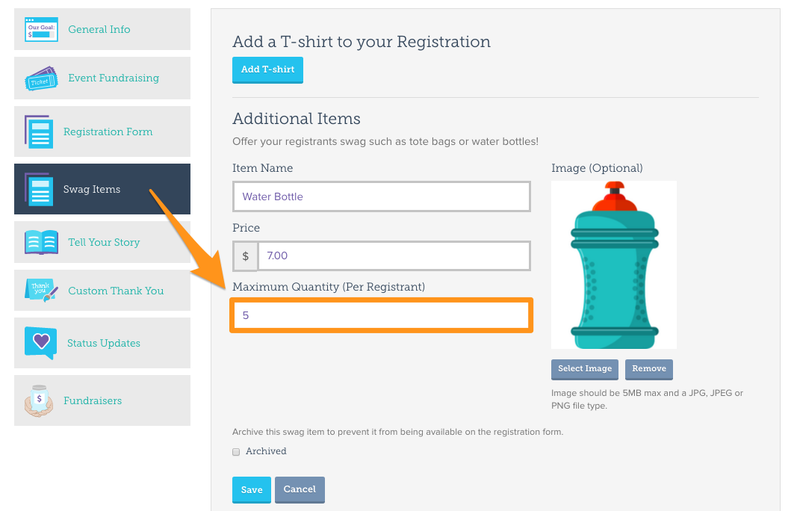 The amount you make available for your registrants might be based on the number of individuals registering in one group, availability of the swag item, or any additional criteria that might limit how many items they should purchase. This is completely up to you and the needs of your organization! If you want to amend the maximum quantity of swag items someone can purchase during registration, follow this article for step-by-step instructions on how to edit your existing swag items!